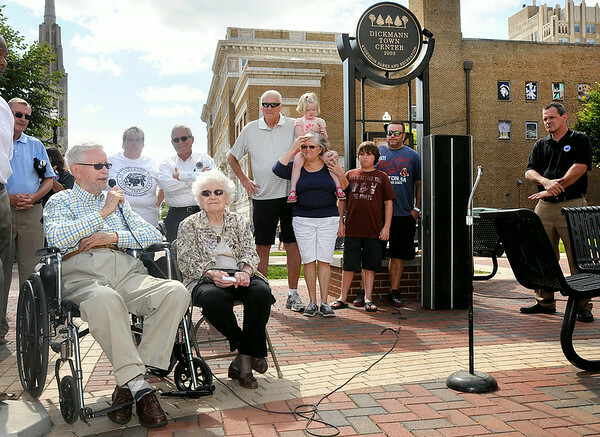 Charles Dickmann with his wife Hazel were honored by the city with the naming of the Dickmann Town Center Plaza on Thursday. "I have received many high honors but I will cherish this the most because it comes from my hometown," Dickmann said. The Dickmanns created a $100,000 endowment that will benefit the park.